Never underestimate the importance of your tire pressure. Properly maintaining your tires improves your fuel mileage and ride comfort. Keeping correct tire pressures will also add to the longevity of your tires and your suspension. How you maintain your tires will cause a ripple effect through the rest of the vehicle. The first step to proper tire maintenance is keeping the tires inflated to their designated pressure. Your local tire experts at Pedersen Toyota are here to explain why your tire pressure is so important, and why it benefits you and your car to check it regularly. Your tires will naturally loose air pressure even if you do not drive the vehicle. On average, your tires will lose 1-3 pounds of pressure per month. This means checking them monthly, or every other month, will benefit you and your vehicle most. Add air when needed, but remember that your designated tire pressure is a “cold measurement”. As you drive, the air inside your tires heats up and this also increases the pressure. You should only measure your tires when they have not been driven on for a few minutes, or have not been driven on for very long. You run the risk of overinflating if you add air while the tires are warm. Adding too much air to the tires causes several issues. As mentioned above, when you add too much air to the tires, that pressure will rise even higher when the tires are warmed up. You run a higher risk of having a blowout if you hit something sharp or at a high speed. You also wear your tire’s tread unevenly. Overinflated tires will not sit flat on the road, and instead will focus a majority of the vehicle’s weight onto the center part of the tread. This will cause your tires to wear down and potentially fail prematurely. Overinflated tires also cause you to lose traction and control. Due to your tires having less contact with the road, you will have less grip. Handling may decrease and your vehicle may also feel like it rides rougher. Bumps and cracks in the road get exaggerated, as your tires have less capability of absorbing the shock. Driving on a regular basis with under-inflated tires can cause a number of problems, and end up costing you more money spent on maintenance and fuel. First, we will talk about fuel costs. When your tires have too little air in them, it takes more effort to get the car rolling from a stop and to keep it moving. You have less acceleration and use more fuel in the process. Secondly, your tires wear down faster when they are under-inflated. Instead of the tires sitting flat across the treaded area, your sidewalls and outer portions of the tires take a majority of the weight of the vehicle. This causes the outer edges of your tires to wear down faster, and will end up costing you more money having to replace your tires more frequently. Under-inflated tires cause a lot of problems for your suspension as well. Your tires are the first area of contact for your vehicle on bumpy streets. If the tires are not inflated enough, the shocks from the bumps and cracks in the road transfer straight to your suspension. Over time, the suspension will fail prematurely from having to absorb so much impact. Your tires play a huge role in how your vehicle handles while on the road. Keeping all of your tires properly inflated will ensure that your get optimal traction, handling, and safety. You also help prolong the lifespan of your tires and suspension. 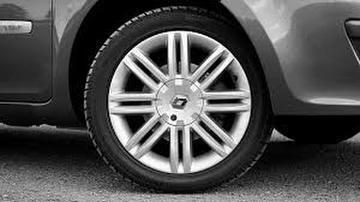 Proper tire pressure will help make sure you stop and accelerate optimally, as well as have the most comfortable ride. Your car is designed to operate under a certain set of conditions. Proper tire pressures are a must for all drivers on the road. For help keeping your tires properly maintained, make your appointment today at your local Toyota Service Center in Fort Collins. The experts at Pedersen Toyota service all makes, models, and carries a top selection of tires in Fort Collins.